Chung Yoo-ra, the daughter of Choi Soon-sil, has hired a lawyer specializing in economic crimes. Danish prosecutors on Tuesday said Peter Blinkenberg has been representing Chung since she was arrested in the northern Danish city of Aalborg on Jan. 1. He worked as a prosecutor from 2001 to 2009 handling economic crimes. He left the prosecutor's office and set up his own law firm in 2009, which also specializes in economic crimes. 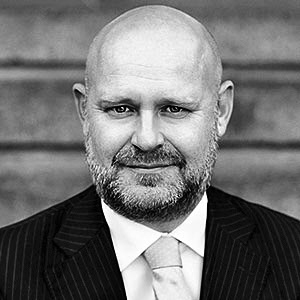 The firm's website lists embezzlement, breach of trust, tax evasion, money laundering and corruption among areas of expertise. Chung was initially thought to be represented by an Aalborg attorney, Jan Schneider, who was present in court when she appeared before a judge there on Jan. 2. Chung told reporters she had a "court-appointed lawyer," but that was a lie. A source in Denmark said, "Blinkenberg was her lawyer from the start, but he was unable to go to Aalborg due to scheduling conflicts and Schneider ended up representing her briefly." Chung is suspected of being a major beneficiary of an extortion racket her mother allegedly ran with the connivance of Cheong Wa Dae, and is listed as co-owner of several paper companies her mother set up to launder her slush funds. 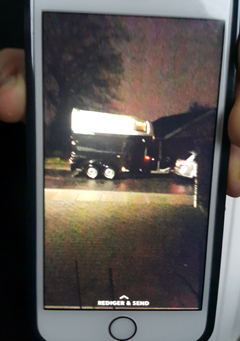 An animal transport trailer is parked outside Chung Yoo-ra's home in Denmark in this video grab from a neighbor's mobile phone. Meanwhile, the owner of the house Chung rented in Aalborg told the Chosun Ilbo she never met her tenant in person. "I knew that woman lived in the house, but I did not meet her in person to sign the contract," said Susan Schmidt, who lives in a small town around 50 km from Aalborg. Schmidt declined to reveal the exact terms of the contract. "She had a lot of pets so I had to include clauses about animals, but I can't reveal exact numbers," she said. At the mention of one of the paper companies, Widec Sports, a man who appeared to be Schmidt's husband nodded gently. Asked if Chung's German equestrian coach Christian Kamplade had looked for the house, Schmidt said, "I can't say exactly, but someone from Germany came and signed the contract." Schmidt said Chung has not yet given notice of the contract even though she has been arrested. Until earlier this week it was occupied by Chung's 19-month-old son, a nanny in her 60s, a horse trainer and a bodyguard. "I woke up on Tuesday morning and noticed that the van which used to be parked in front of the house has disappeared," a neighbor in her 50s said. Schmidt's partner said, "The rent for this month is already paid, so we'll have to see if they pay next month. If they fall behind we plan to evict them immediately."